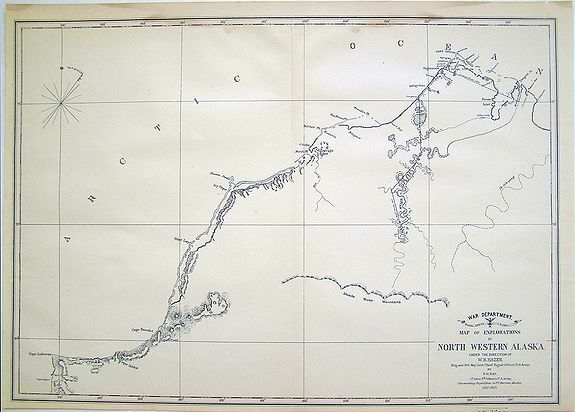 War Department Map of Exploration of North Western Alaska... - HAZEN, W.B. Map maker : HAZEN, W.B.. Size : 11.4 x 15.9 inches. / 29.0 x 40.5 cm. Description :Unusual survey map of the Arctic Ocean and Northwestern Alaska. Condition : Water stain affecting image, darker at top margin, otherwise fine.